Will The Philadelphia Gas Works Sale Cut The Mustard -- Or The Cheese? What's that I smell? Is change in the air? 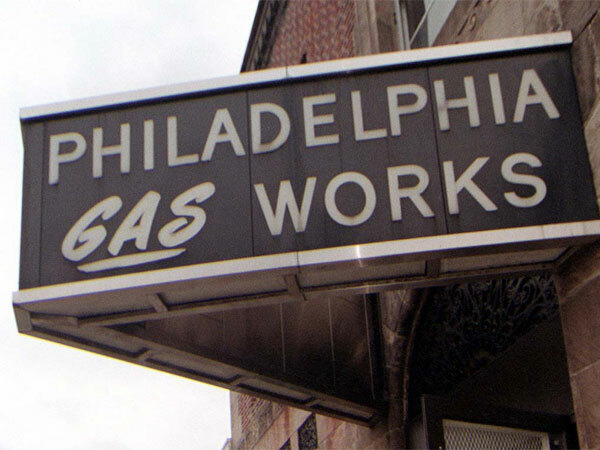 The Philadelphia Gas Works is being sold. Some believe the idea that PGW might finally be past gas is the sweet smell of success. Others think it just plain stinks. Surely it can't just be the nose that knows. When we use our other senses, we can see that the sale of PGW can make Philadelphia a lot of dollars and a lot of sense as well. The Nutter administration will lay out its case for selling the collection of city assets we call the Philadelphia Gas Works. Hopefully, administration officials will detail why they believe a sale makes sense, whether the price is right, and how proceeds will be used to make a better Philadelphia. But maybe before addressing those issues it makes better sense to reverse the question and ask "Should a city own a gas utility?" Pretty much every other city in the United States has answered that question, "no" and concluded that the operation of a gas utility should not be a municipal government function. Two decades ago, I wrote a report about PGW that concluded that municipal governance prevented the utility from succeeding in the competitive and changing gas business. It was clear that, without change, PGW would represent a threat to the city budget and, indeed, a decade ago, PGW was unable to pay the city its $18 million annual dividend and even needed the infusion of $45 million (in what was ultimately repaid as a no-interest loan). Talk about gas pains? That stunk. The utility has been managed much better since, but long-term success requires an agility that PGW -- encumbered with a governance structure that (on top of state regulation that all utilities require) involves the oversight of local Gas Commission and input from City Council -- just cannot match. Anyone who believes that PGW’s recent run of competent management foretells future successes has not watched our Phillies fall from World Series winners to mediocrity in recent years. The long history of PGW (just like our Phillies) has been decades of unsatisfying performance with a few years of excellence thrown in each generation. If it doesn't make sense for Philadelphia to own a gas utility, then we can wonder if the price -- the Nutter administration has an agreement to seek PGW to Connecticut-based UIL Holdings for $1.86 billion -- is right. Given the fact that just a decade ago, the utility was running on fumes and the city budget was subsidizing PGW, some might say that ANY price is a good price. The fact that the price UIL Holdings is willing to pay is on the high side of published estimates suggests that the $1.86 billion is at least reasonable. Of course, money is only part of the benefit and/or cost of selling PGW. Despite the short-term protections outlined in the sale agreement, a private owner certainly may cut costs and even employees in the future -- or seek to raise rates or discontinue subsidies to ratepayers in later years. But, there is also the possibility that an expanding privately operated company will grow and add jobs and will be more service-oriented given the need to retain customers in a competitive environment. Certainly the private company will have a greater ability to invest in gas infrastructure to improve safety and reliability in service. Despite great effort, PGW has never been able to be an economic-development engine but a new operator might more aggressively pursue opportunities for growth. Ultimately, we should respond to concerns about increasing rates and customers' ability to pay as a matter of public policy. If we believe that subsidies should be created or expanded, we must budget for it and fund it. As gas service is not a public good, government has no compelling interest in running a gas utility and certainly in Philadelphia public ownership has been a hindrance to PGW operations, resulting in high costs and less-than-exemplary service to customers. Instead, While running PGW may not make sense, government’s natural role is to address market failures and provide customers who are challenged to pay gas bills with a necessary safety net. Currently, that safety net is provided by other ratepayers, but it is much more proper to spread the cost of that safety net over the larger base of all city taxpayers and hold the Mayor and City Council accountable for its implementation. If we want a safety net, or other protections, let's do it as a matter of public choice in the light of day. Finally, it makes sense to use proceeds from an asset sale to invest in other long-term assets or to reduce long-term liabilities (as opposed to frittering it away to meet annual needs). The City’s much-publicized pension hole is one possibility, but a compelling case could also be made to use some of the proceeds to address infrastructure needs or build new facilities. If paying down the pension liability with sale proceeds can more than make up for the loss of the $18 million PGW dividend, then it would be great to know that at least some additional budget flexibility would be used to expand programs that the citizenry counts on on like park and recreation services. Continued municipal ownership of the assets known as the Philadelphia Gas Works has not made sense for a long time and with the city poised to realize a significant windfall from the sale, we should seize the opportunity. Let's make sure that we are satisfied with not only the price of the sale, but the protections the sale offers for gas consumers, PGW workers, and citizens. Let's then make sure we are prepared to consider ratepayer subsidies and other safety nets as a matter of public policy. Most important, let's make sure that the proceeds from a PGW sale can not only compensate the city budget for the loss of the PGW dividend, but that they are used to invest strategically in long-term city needs and to expand services to make Philadelphia a preferred place. That kind of change would break favorably in the wind for Philadelphia.